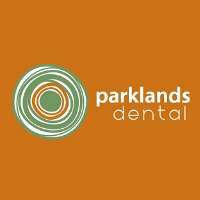 Parklands Dental located in Dulwich provides Dental Services including Pain/Emergency Dental Care, General Dentistry, Cosmetic Dental, Implants and Children's Dental. Parklands Dental is a modern family dental practice. We provide peaceful environment and personalised dental care approach. We aim to make the patient's experience satisfying and pleasant. We have highly trained and caring team that is dedicated to giving gentle dental care. Our goal is to provide you and your family a lifetime dental care with our skills and resources.